USASF Safety Guidelines were formerly publicly available, and were used, and sometimes modified, by companies and individuals who did not go through the training that would allow them to understand, interpret and implement the intent of each guideline. This kind of use, without education, puts athletes at risk. Our cheer and dance Safety Guidelines, when applied in conjunction with USASF coach credentialing, educational resources, videos, training, and a USASF Certified Legality Official presence at USASF Sanctioned Events, establishes the comprehensive approach to athlete safety that is not only a USASF member priority, but also a member benefit. 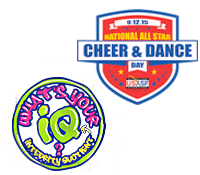 Non-USASF Members, including Youth and Rec coaches, choreographers, etc. Receive as part of certification. Contact the event producer(s) you are working with this season. Interested in more information about the USASF?